Our better sourcing capability from varied sources within India & abroad is another advantage in dealing with us. Whether big or small we strive to deliver goods with equal devotion. 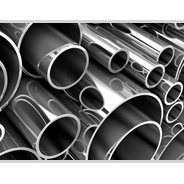 We are having huge stock of Stainless Steel, Carbon Steel, Mild Steel, Alloy Steel, Copper, Brass, Nickel, Cupronickel, Monel,Inconel in the form of Sheets, Plates, Pipes, Rods, Strips, Circles, Channels, Angles, Pipe Fitting, Instrumentation Fittings etc.